Dress up your Dodge Challenger with one of these Hood Pin Kits direct from Mopar. Each Kit has everything you need to give your Challenger that old school muscle look. This Kit includes chrome finish hood pin plates. All components are manufactured from automotive grade stainless steel. 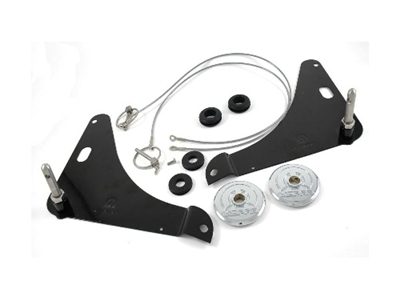 Black powder coated hood pin mounting plate and PVC coated lanyard protects your Challenger's finish.